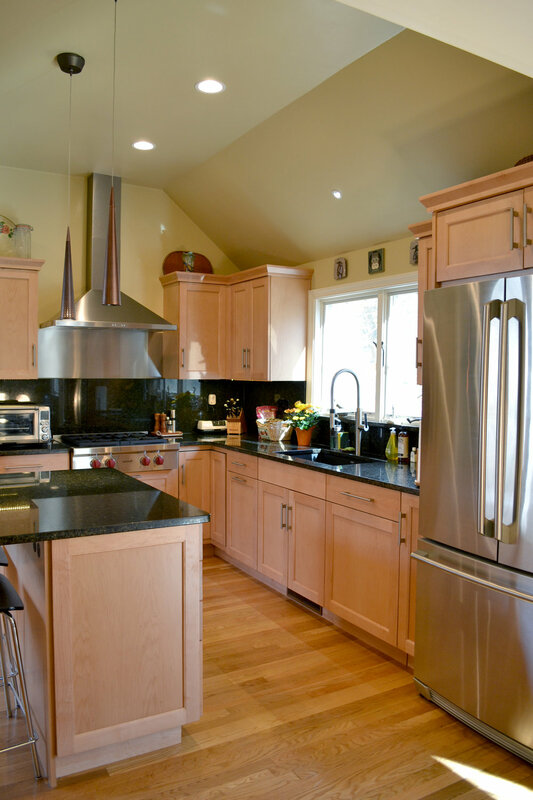 An accomplished musician and her husband in Bedford wanted a larger Kitchen and better flow between the boxy First Floor rooms of their traditional cape. We relocated the Kitchen to an existing Family Room, a grand piano to an underutilized Office and removed several walls to open things up. The old Dining Room, Kitchen and Living Room became one big Family/Dining space. Access to a remodeled back Deck improved with the addition of large French doors. Four small separate dark rooms now open up to each other, allowing light and activities to spill from one location to the other.